Mahindra & Mahindra has stopped receiving bookings for the XUV 500. The company has a huge backlog of 8,000 vehicles to be delivered already, as demand has been unprecedented in just a week after launch. Last week, CarToq had unofficially confirmed that its bookings reached 6000 numbers in just two days of its launch. This is a phenomenal response considering the XUV is a SUV priced in the range Rs. 10 – 13 lakh. With a production capacity of 2,000 units per month, the waiting period of XUV500 is roughly four months depending on the variant, color and city. 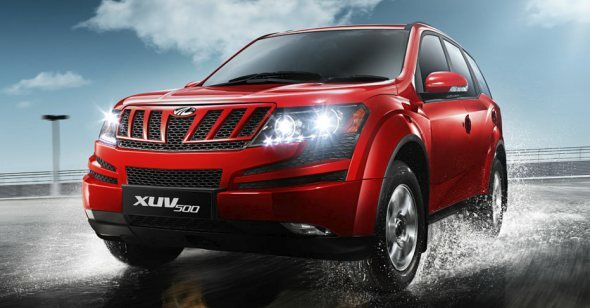 Mahindra is now pulling out all stops to try and speed up deliveries of the XUV500. In fact, the company has said it will first focus on meeting domestic demand before commencing exports to countries such as South Africa. Mahindra surprised everyone by announcing the price of the XUV500 well below the estimated price range of Rs 14 lakh – Rs 16 lakh. The fully loaded W8 AWD variant is priced at Rs. 12.88 lakh (ex-showroom, Delhi) and this variant seems to have received maximum response among the buyers, as bookings for this was stopped first. The XUV500 priced below Rs. 13 lakh has features that are comparable to those of premium SUVs priced at Rs. 20 lakh. The XUV500’s immediate rival, the Tata Aria that was launched a year earlier, has failed to excite buyers as it is again seen as too expensive compared to the XUV500. Others such as the Skoda Yeti are even pricier. The XUV500 can also attract potential buyers of the Toyota Innova purely based on features. All in all, this makes the XUV500 a great value for money crossover vehicle, with its aggressive looks, long feature list and good power specifications. Remember that the XUV 500 prices are only ‘introductory’ meaning Mahindra may increase the price in the next couple of months. For the moment, Mahindra says bookings will re-open soon. But how soon? Watch this space. « Nine reasons why the Eon will appeal to small car buyers!